The day has come! 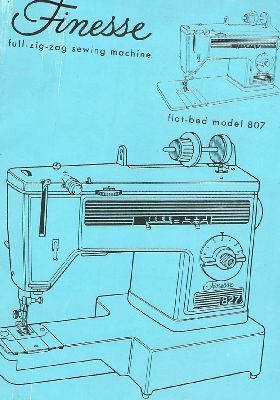 No longer am I stuck sewing everything by hand because I am now the proud owner of a Finesse sewing machine. It is an oldie but a goodie, and a super-steal at that! A friend from work tipped me off that they saw a sewing machine making its way into the pile of things for a church flea market thing going on the next day. It was going for $30, but they just slashed everything to half off right before dear Joshua went to look at it for me...so we got it for $15! Steal. Granted, it was it a little broken. The thread spool holder is long gone. And being that I am a sewing machine rookie, the lack of a manual meant alot of messing around trying to figure out how things work on here. In my tradition of needing to name all electronics of importance to me (laptop= Dag Hammarskjold, cell phone = Gypsy, the briefly owned iPod= Ish Kabbible), I am naming this little beauty Catalina. It is amazing to be able to sew things at the speed I can now. I'm working on my third project since getting it. Now if only I could find time to take and post some pictures. I think I have almost 10 projects now that need posting.